Indigo Slate is a digital marketing agency located in Bellevue, Washington. A large bulk of their work comes from large tech companies such as Microsoft, Google, Amazon, SAP, and T-Mobile. For more details, feel free to check them out here. 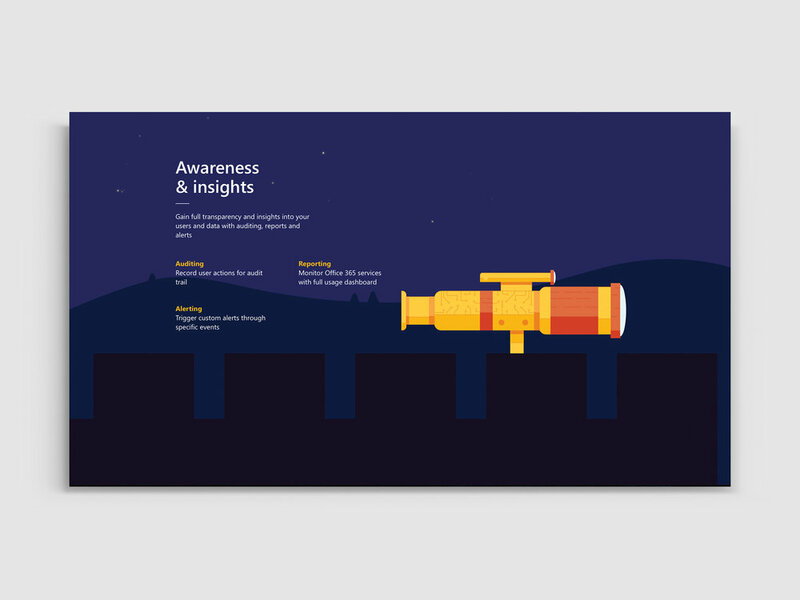 As a designer at Indigo Slate, I've been able to work on a number of really awesome projects. A lot of the pieces I've produced have been infographics, both static and interactive. 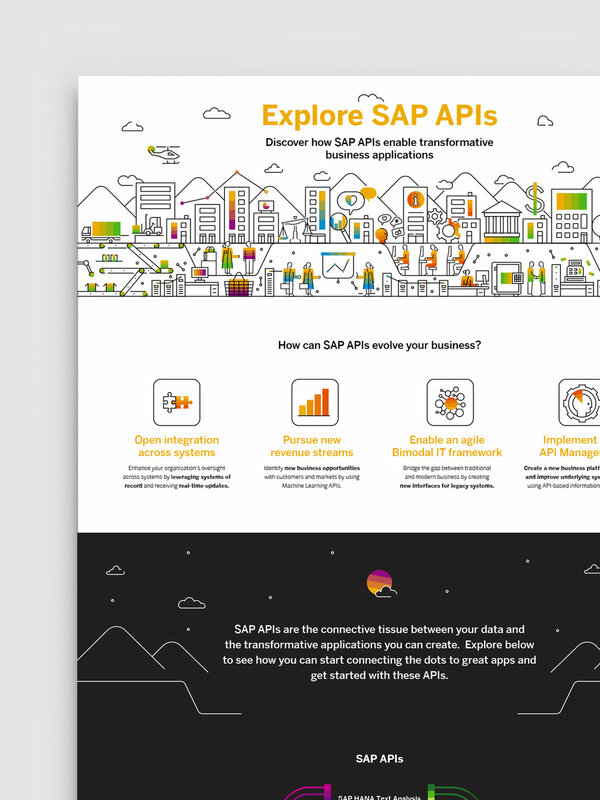 Creating infographics for companies such as Microsoft or SAP is a very unique challenge because it involves a very unique consumer. Designing in the tech realm means communicating complex content to an audience of technical minded individuals in a way that feels both refreshing and visually stimulating. 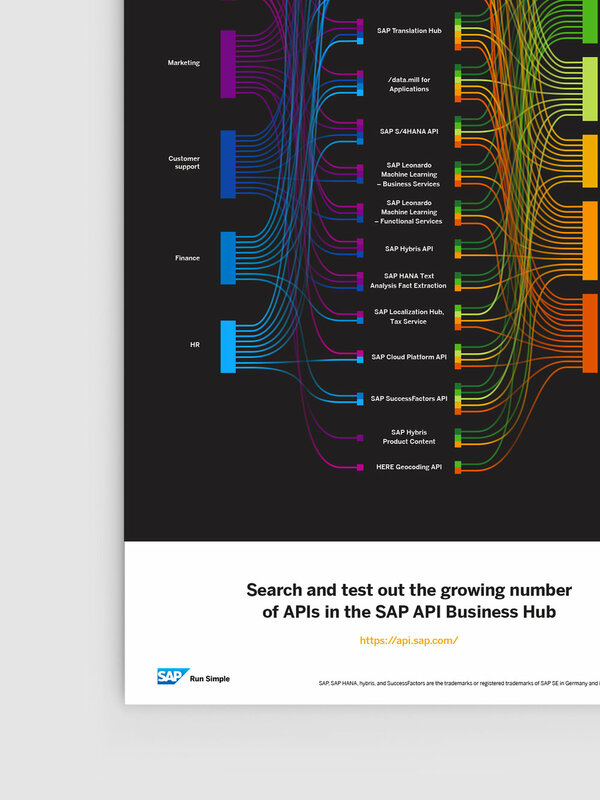 As part of an initiative to glorify the power of the APIs that SAP has to offer, I was tasked at creating an infographic. 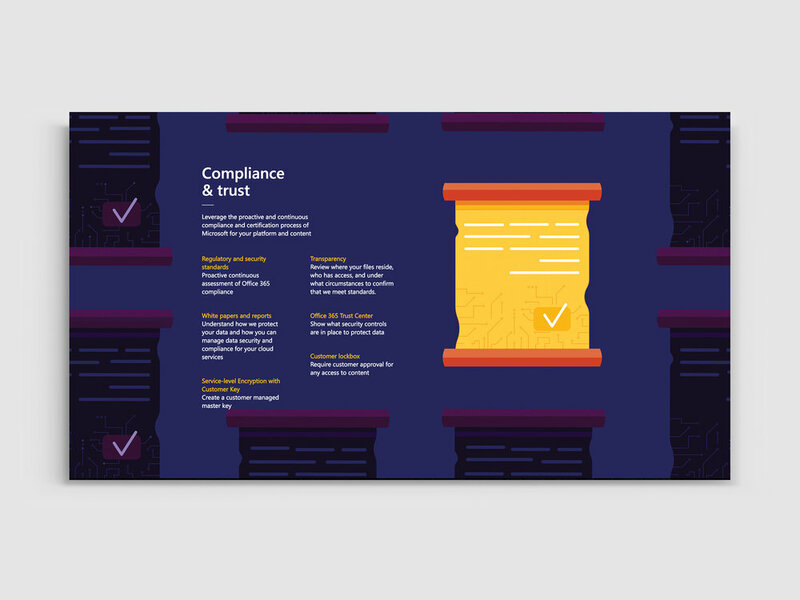 The finished product connects a variety of different industries to and API that fits their company's needs. Skype for Business has recently been integrated into Microsoft Teams. 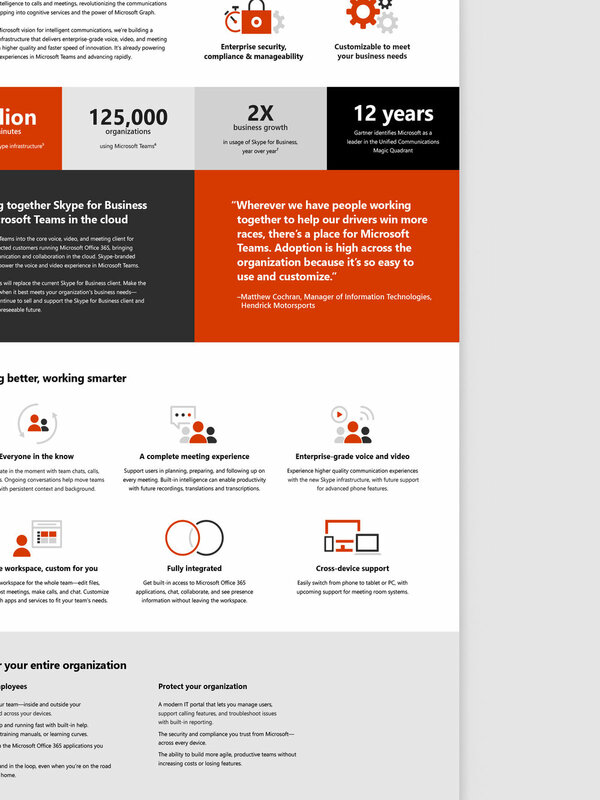 The infographic speaks to the values that Skype for Business and Microsoft Teams provide as individual products as well as how they function together and what that means for future or current customers. Microsoft Office 365 offers a number of great applications. One of such applications is Sharepoint. Sharepoint is a web based collaborative platform. 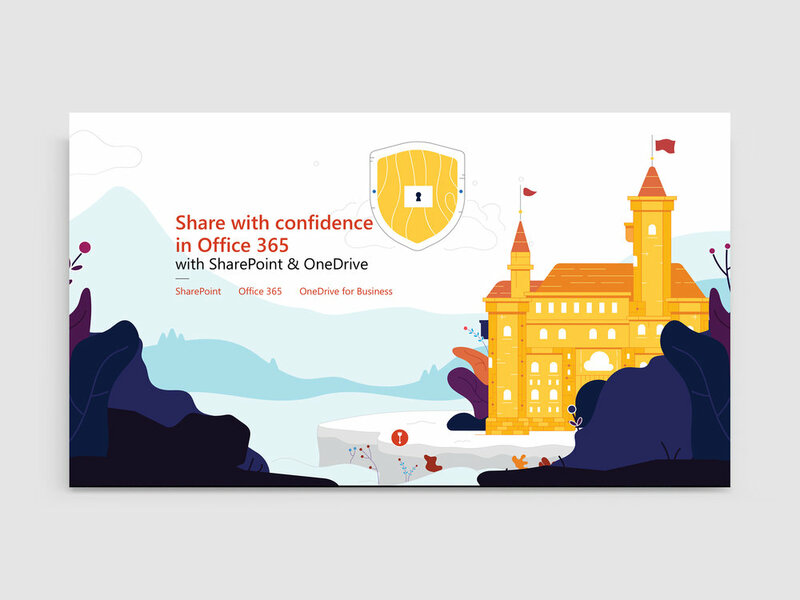 As a way to further emphasize Sharepoint's capabilities, I was tasked to create an interactive infographic. 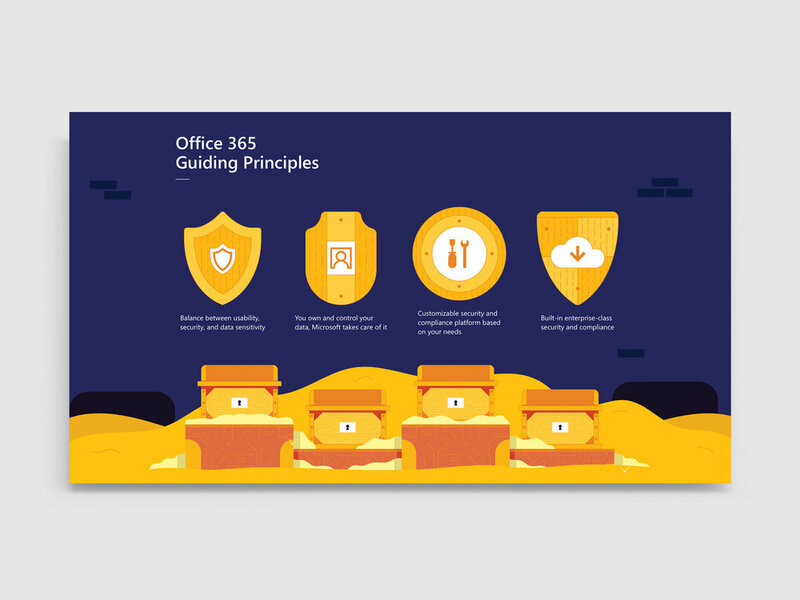 This illustration driven experience creates a visual journey through Sharepoint's various value statements. View the live site here. Infographic created to highlight the importance of Microsoft's involvement in the healthcare sector.